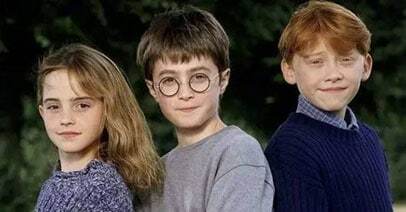 We are all in agreement that since the inception of Facebook, we are accustomed to still images taking over Facebook profile and Facebook cover image. With technology advancement, vital concern came into play to on how to make Facebook profile video and cover video. However, no one had contemplated having this breakthrough this very soon. Facebook has already rolled out Facebook profile video and Facebook cover video feature. To have this is as simple as uploading the still image. The great benefit you can have with this exciting feature is, with the right Facebook cover video and Facebook profile video, it will enhance your still image, clearly put across your brand personality and at ease demonstrate how your product works. In order make good use of this essential Facebook tool, or let me put this way, how to make Facebook profile video to be of great importance on your Facebook business page. 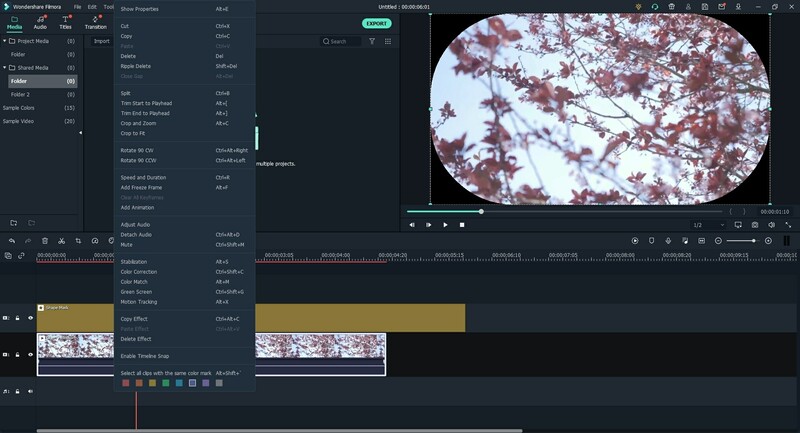 To attain this goal, it is imperative to task unerring, you need the all-in-one editing tool Filmora Video Editor for Windows (or Filmora Video Editor for Mac). 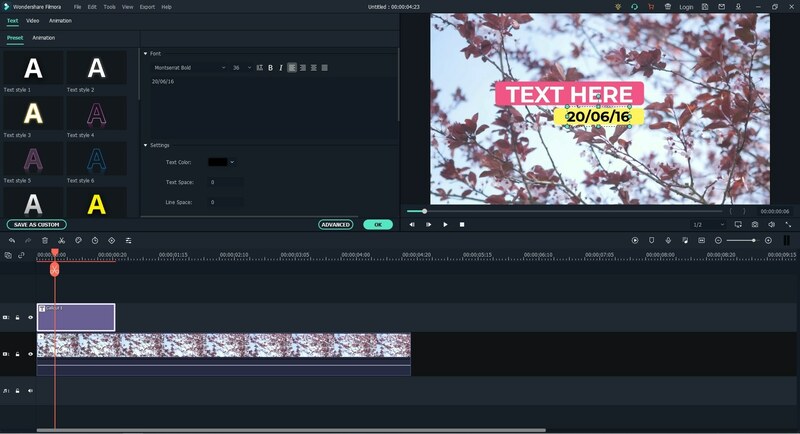 This editing software is fully packed with essential, robust features which prompted no more hustle to create a satisfactory output video. 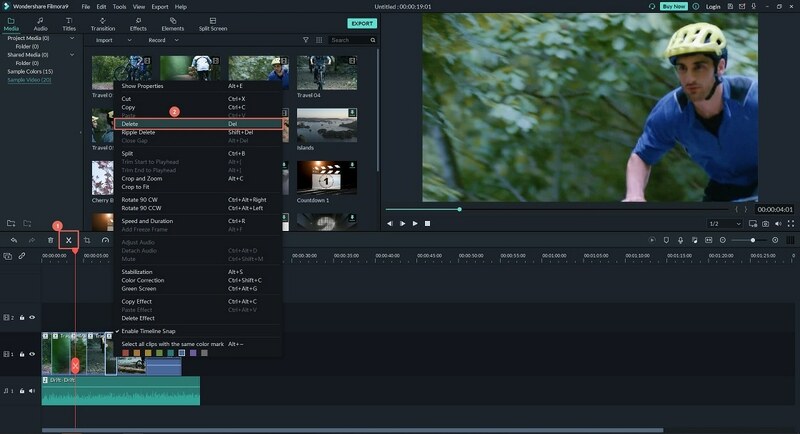 Filmora Video Editor provide a ton of editing features ranging from basic like trim, crop to advanced features which include Freeze a Frame and speed effect among more others. 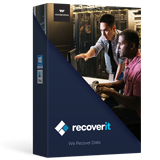 Apart from files saved locally in your computer, this software supports direct import of files from social media sites like Facebook and Instagram. 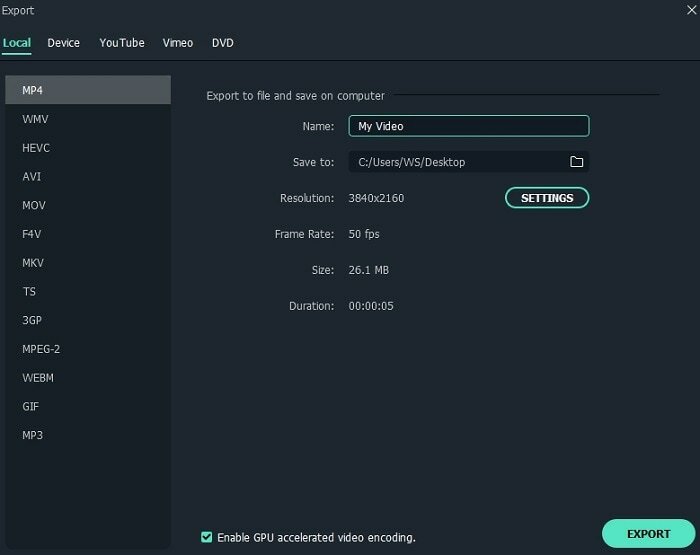 Filmora Video Editor supports import and export of files of up to 4k resolution. This program enables you to export edited file to specific device, upload directly to YouTube, burn to DVD drive with more other options. 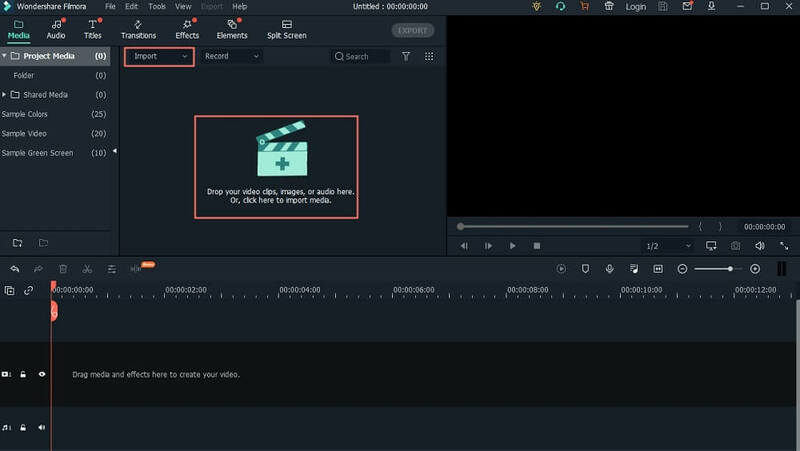 Run Filmora Video Editor program on your PC to open the primary interface. Now go to the "FULL FEATURE MODE" button and click one "Import Media Files Here". 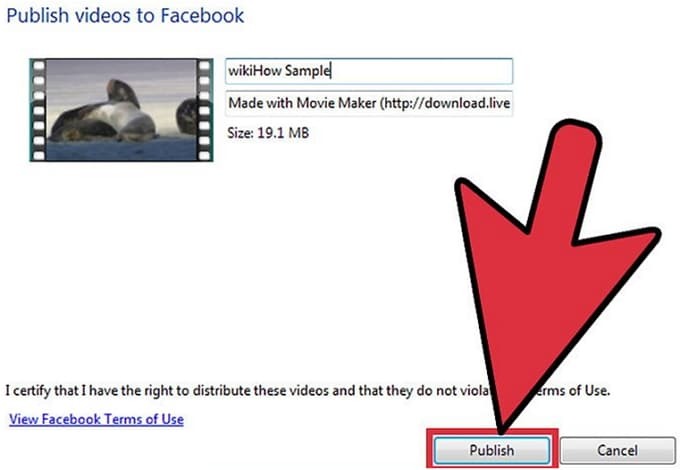 You should be led to the file explorer window where you shall select the target video from the respective save path for Facebook video profile. 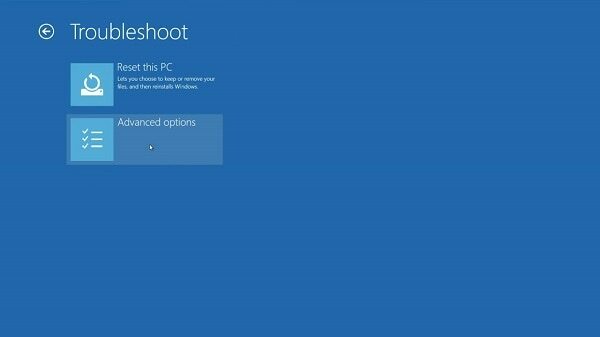 Once selected, click "Open" to upload it to the program for editing. Alternatively, you can simply drag the video file from it's save location and drop it on the program's "User's Album". Upon successful file upload, again drag the target video to the program's timeline which is located at the bottom of the interface. Trim your video: Drag your needed photo and video clips to timeline. To trim your video simply, move the cursor to the edges of the video file on the timeline. When an I-like pointer appears, drag it in either direction on the edges until you get trim length which meets your desired goal of how to create Facebook profile and cover video. Add texts on your profile and cover video: To add texts, just highlight the video file on the timeline and hit the "Text/Credit" tab at the top of the timeline. Select the right effect which will effectively pass intended message on either Facebook profile or cover video and drag it to the video on the timeline. You shall see a "T" icon adjacent to the video track. Click it and enter your desired text. Once satisfied, hit the "Export" tab and subsequently select the suitable format and resolution options. From the output window, select the desired target format and save path. You can also choose to directly export the video to your device to upload to Facebook, or upload to YouTube and other sites like Vimeo. Click "Export" when done. Adding or changing Facebook profile and cover video is definitely one of the most common things you can perform on your Facebook account. Even if you are a Facebook newbie, you will no doubt get the same feeling more often. However, engineering this task can turn quite sucking if you lack the knowledge on the same. But if you already have the videos to be uploaded either on your computer or device, the process is somewhat straightforward and would soon become elementary. Stick to the following guidelines and get your profile and cover video changed with ease. Step 1. 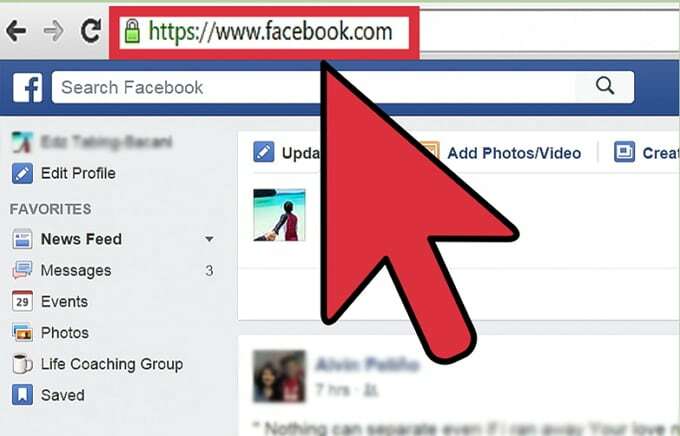 Using your browser, log in to your Facebook account and navigate to your profile. Step 2. 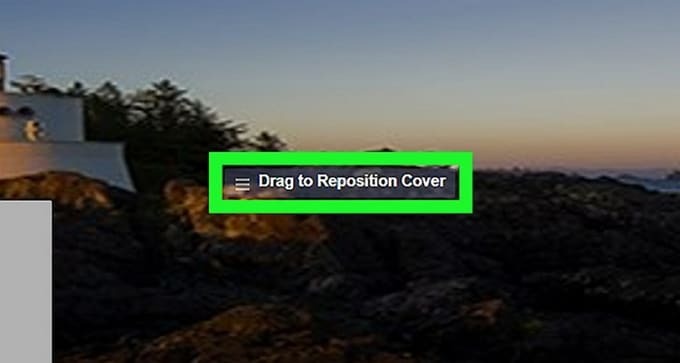 Hit the "Add a Cover" or "Change Cover" options located on the top left of your Facebook cover video. Step 3. Now choose "Upload Photo/Video" option and upload your desired video from your computer. Remember, the cover page video must be of at least 820 x 312 pixels and duration of between 20-90 seconds. Best results are always obtained with a 820 x 462 pixels. Step 4. Once the video has been uploaded, just drag it up and down to get it repositioned. Click "Next" to proceed. Step 5. Click "Publish" to complete. How to make Facebook profile video or cover video is a fascinating and most performed task by innumerable Facebook users. However, it is important to upload a well-edited eye-catching video to excite your followers. Filmora Video Editor is the master of video editing and will let you edit your Facebook profile and cover videos as per your need with hardly any problem. Choose Filmora Video Editor and make the best Facebook profile video and cover videos.